Did Jesus ever get depressed? 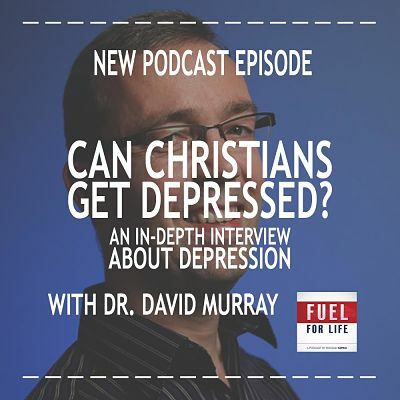 What are some Biblical examples of people who were depressed? Is there different classifications of depression? How can we tell if we are just having a bad day or a bad season? Is anxiety, panic attacks, sleepless nights etc. a sign of depression as well? What is the cause of depression? Is it a lack of spirituality or is it the fault of a person? What are some of the best ways to cope with a season of depression? What would you recommend to the person that is struggling with depression? What are suggestions for people who have in their life others who are struggling with depression? How can someone “redeem,” their depression for a good purpose to glorify God? What is your favorite coffee concoction? In an ideal world, what would you do all the time if you could? What do you do when not working or doing ministry assignments to relax and re-charge? What is a goal or a dream that you would like to accomplish in 2015? Connect with Dr. Murray on his blog and follow him on Twitter. If you enjoyed this podcast, please share it with your social network.